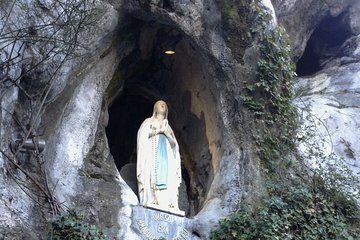 Immerse yourself in the special atmosphere of Lourdes with this private spiritual tour. Follow in the footsteps of Bernadette, visiting her former homes and the places she saw the Virgin Mary. Over the course of 2.5 hours, you’ll see the shrine, grotto, chapel, and more. You’ll have the chance to light candles, participate in spiritual rituals, and take quiet time for prayer or reflection.